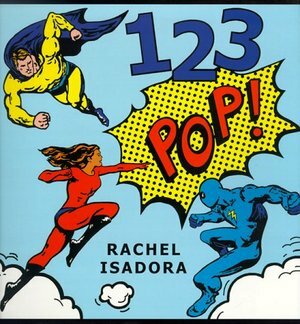 In this exuberant companion volume to ABC POP!, which reviewers called "dazzling" and "one of the sassiest, most fun alphabet books ever"(Copley News Service), Rachel Isadora once again combines an amusing homage to pop art masters such as Lichtenstein, Warhol, and Oldenburg with a sure knowledge of the images children find appealing. From one man on the moon to ten lizards to a million stars Rachel Isadora ingeniously reinterprets numbers in a pop style for the millennium. "Satisfying, visually stimulating and fun." --Kirkus Reviews on ABC POP! "Baby boomers will find this artistic homage a nostalgic hoot, while their offspring will appreciate its verve." --Publishers Weekly on ABC POP!